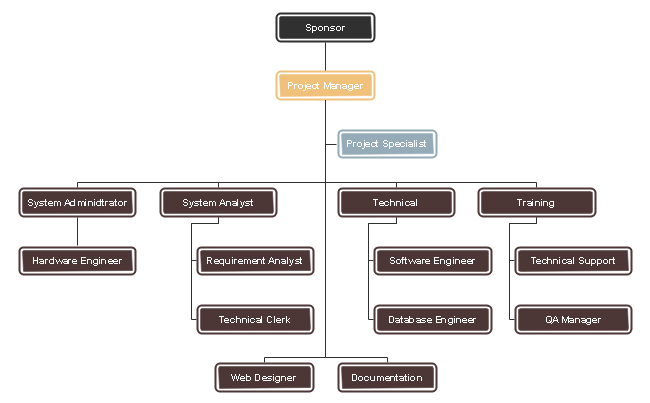 A typical organizational chart examples to represent the project organizational chart in IT company. 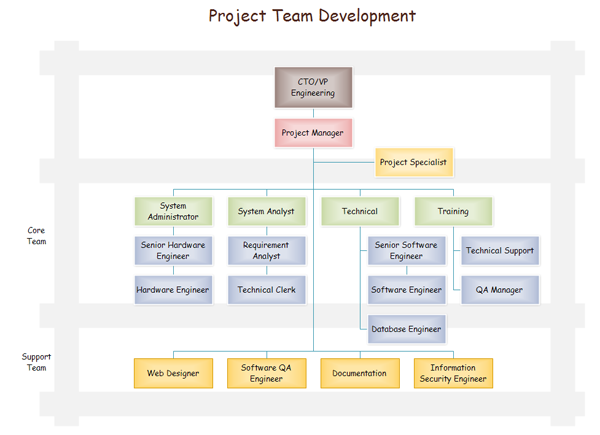 IT enterprise can have many organizational structures for its project development team, but the most typical project organizational structure consists of the project manager, system administrator, system analyst, software engineer, database engineer, QA manager, technical support, requirement analyst, technical clerk, hardware engineer, web designer and employees. Wanna explore the magic insights of developing and improving new technology like mobile applications? 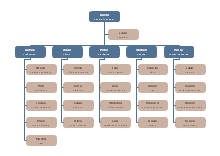 Simply see functional project organizational chart template from OrgCharting to learn from the very beginning. 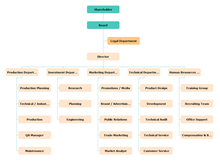 The following example is a project matrix organizational chart which allows for better understanding of project development organization structure where various levels may answer to more than one department master. With Edraw organizational chart software, you can create clear and comprehensive organizational charts even without prior experience.